A tiny terrarium for your fingers inspired by nature! 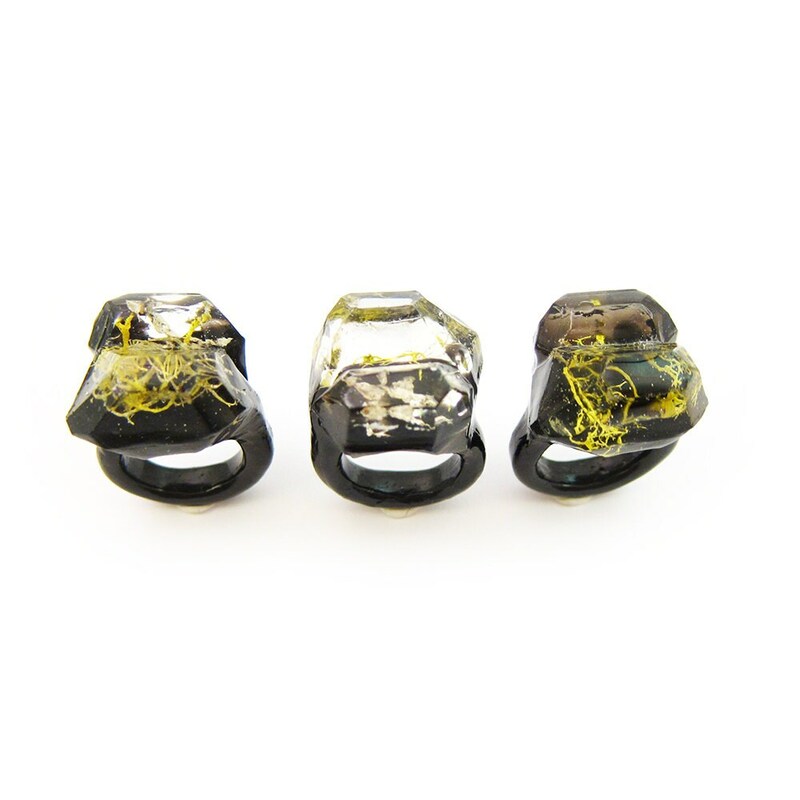 Beautiful frilly dried mosses and lichens preserved in crystal clear eco-resin. It is an asymmetrical shape with a crystal inspired faceted top. 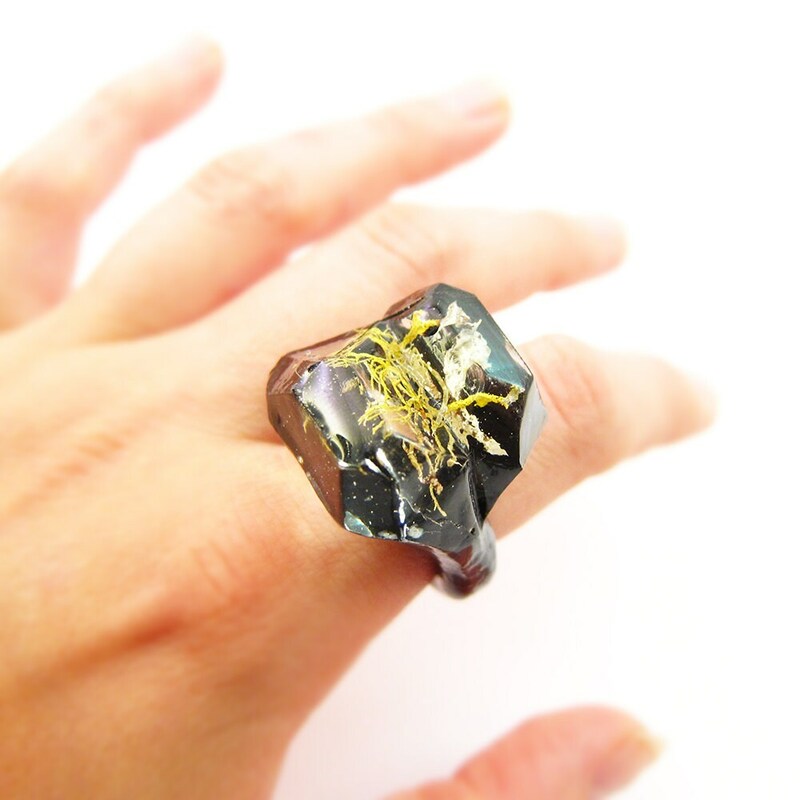 The ring band is made with black pigment. 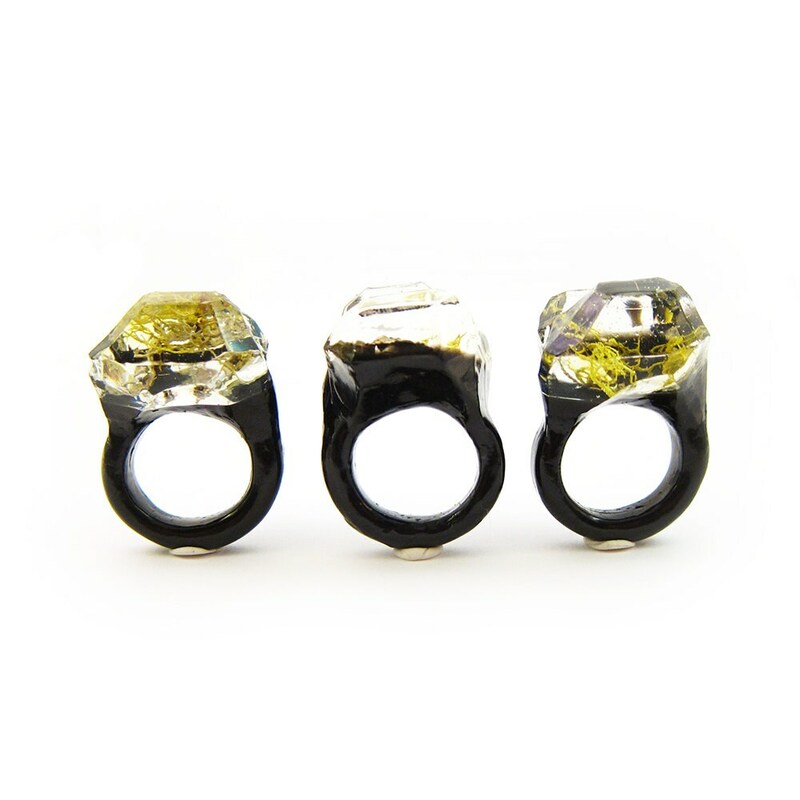 The ring is one solid piece and is very resistant to breakage or damage. This ring is handmade from start to finish. 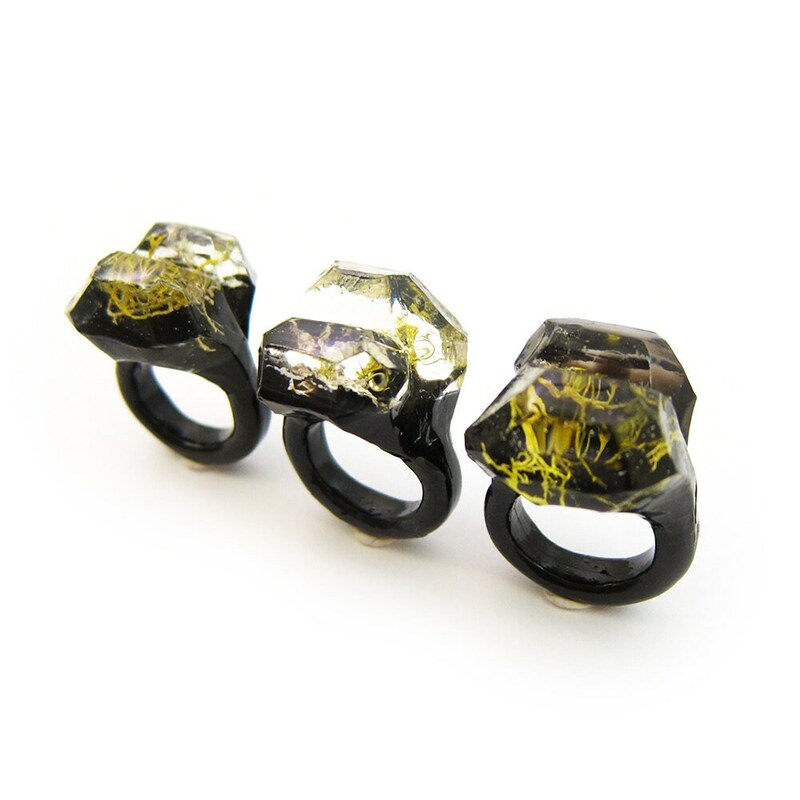 The ring models are sculpted by hand, the molds are handmade from the models, and the resin is hand poured and cured to it's hardened state. It is truly a one of a kind Squidlicks original. ***Please Note: You will receive one ring. 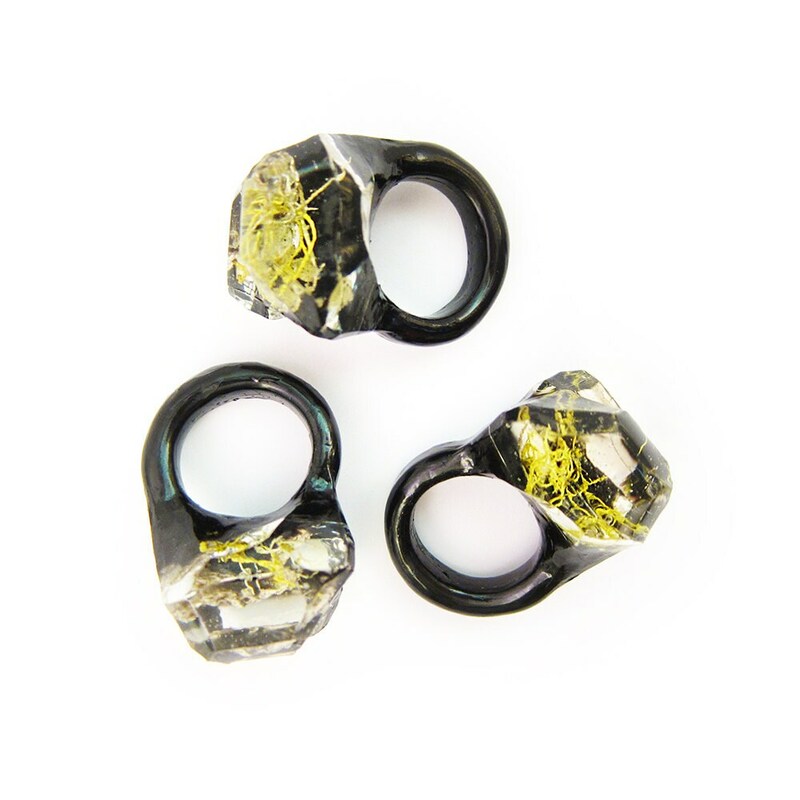 Because of the organic nature of these rings, the ring you may receive will be similar to, but not exactly like as the ones pictured. The ring will be in the same style.